Your special night should be starring your love and yourself, and not featuring either of your devices. 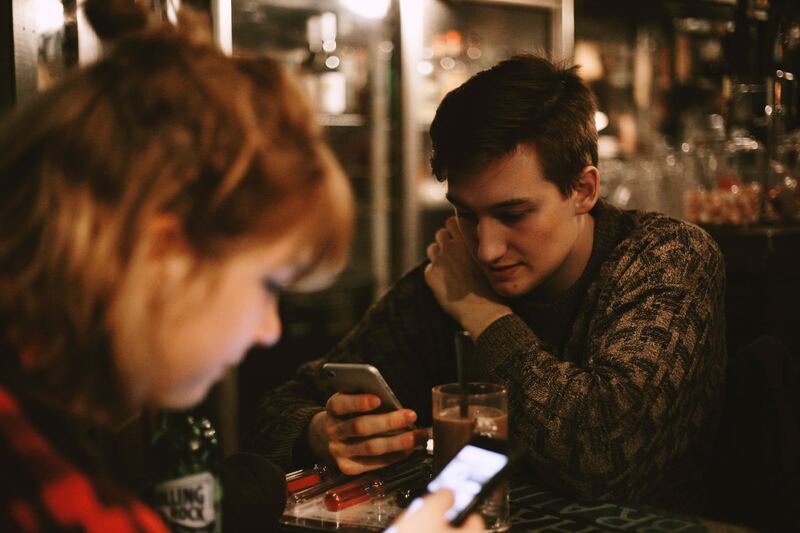 Whether it’s an exciting first date or date #289 with your long-time partner, here are a few helpful tips for date night phone etiquette to keep the chemistry flowing and the glow from your devices to a minimal. Don’t be that guy. Credit: eHarmony. Keep your phone like a Prius going five miles per hour; silent. Nothing quite throws off a special moment like the shrill squawking of an alarm or call. Out of respect of your date, take two seconds to set your phone to silent. If you can, agree to put both of your phones away in your bag/pocket. Make things simple – if you’re both comfortable with it, just tuck the phone away. You won’t be tempted to go digging for it if you’re focused on having a good time with your date. Expecting an important call? Make sure to tell your partner before the date. Job interview, family news, or whatever it may be, it’s just proper phone etiquette to just give your partner a heads up rather than constantly checking your phone. They probably don’t care how funny the 15 memes were that you saw today, so don’t shove your screen in their face. Once or twice is fine for this one, but it’s when you turn into a walking Reddit feed that it might become overkill. If it’s a first date, refrain from nervously going on your phone. This makes it seem like you’re bored or uninterested, so make sure to keep your focus on the real interest- your date! Foodie photos. This one is up to your discretion, but maybe refrain from snapping away on the first date. It may or may not put your date off, so assess the situation. Most importantly, have fun! Phone etiquette should be simple if you’re truly into your date. If you’re interested in spicing up your date, check out our article on last minute gift ideas. There’s a few easy ways to woo your date without cutting into your funds.